Sometimes beautiful things are hidden, right in front of us. All we have to do is really open our eyes and look around. 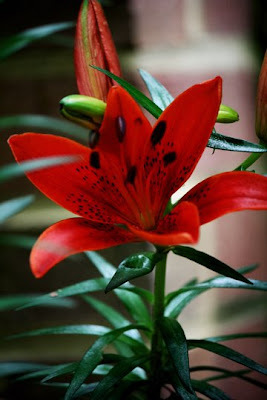 This gorgeous lily is behind some other plants and you wouldn't really see it if you didn't look for it. But I found it by being present during my daily checking out of the garden.